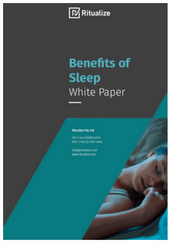 Today, we average just under 7 hours a night; about one-third of us make do with 6 hours or fewer – and it’s having an impact on both individual health and workplace performance. To understand why, we need to explore why we need sleep and what happens when we don’t get enough. The aim of this paper is to educate, and provide employees and their employers with information to help improve our health, safety and productivity in the workplace.